I had jury duty earlier this week. Very exciting. Got far into the process and the trial was gonna start later in the week, and suddenly, the case was settled. Sometimes I feel like I’m the only person I know who takes this seriously, as in, I am proud to serve and don’t try to find some lame excuse to get out of it. Or worse, lie or misrepresent myself so I don’t get picked. I am appalled when I hear people say things like that. I am proud to be an American, and acutely aware of the awesomeness of my citizenship. It wasn’t an accident of birth but something I had to earn, which makes it all the more precious. I don’t walk around wearing an American flag pin, or spout vitriol at anyone who doesn’t love this country (although it hurts me to hear it) but I fly the flag on my front porch, and I vote in every election (and do my homework first), and I recognize the awesome responsibility and duty to serve on a jury. I seem to get called an awful lot. Which is weird, when you think about it — the lawyers either love or hate teachers. Either I sit uncomfortably in round after round of questioning, or they dismiss me immediately. I guess it depends on what they need. This particular case was in criminal court and looked interesting, from what I could glean…the defendent was a little on the creepy side…a fantastic inspiration for a character in my current Work-in-Progress, a story of murder and intrigue. 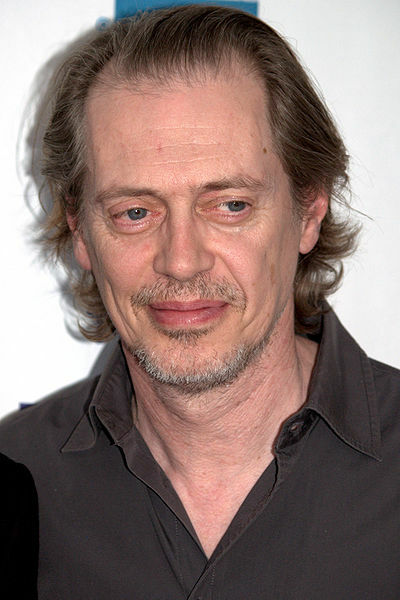 In fact, now that I think about it, the dude looked an awful lot like Steve Buscemi. Ha. Not that I had made up my mind about the guy or anything. 🙂 Really. I didn’t. I’ll be honest, though, I’m kinda sorry we were dismissed. I was looking forward to observing the process up here in this county. I served on a couple of juries in Miami, and that was entertaining, though not as entertaining as the woman sitting next to me. She spoke, at nauseum, about her husband’s hobby: showing mules. I don’t get out enough. The picture of steve Buscemi drew me in. yeah, my Sister in law trains shows and trains horses… same thing as mules only cuter. I feel your pain.